An international group of astronomers, including alumni and faculty from UNLV, has come up with an innovative technique to detect collisions that take place between two neutron stars in faraway galaxies. Neutron stars are extremely dense, city-sized celestial bodies having the most powerful magnetic fields in the universe. NASA’s Chandra X-ray Observatory captured a brilliant burst of X-rays in a galaxy 6.6 billion light-years away from Earth, possibly indicating the collision of two neutron stars into a new, heavier, and bizarrely magnetic neutron star—called a magnetar—providing astronomers with rare insights into how neutron stars are formed. The study outcomes were reported in the April 11th issue of the journal Nature. The merger of neutron stars leads to the production of jets of high-energy particles and radiation. In case the jet is pointed toward Earth, a gamma-ray flash or burst can be observed. Researchers search for other signals, such as the detection of gravitational waves, if the jet is not pointed toward Earth. 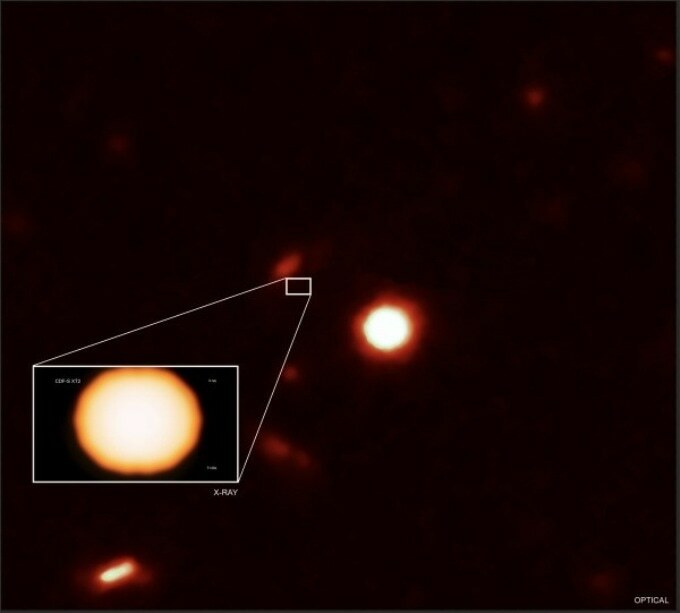 Following the detection of a brilliant burst of X-rays, currently, astronomers have detected another signal, one that confirms the hypotheses first put forward in 2013 by Bing Zhang, an astrophysicist from UNLV who is a member of the research team and one of the corresponding authors of the study. The astronomers found out the possible origin of the source, named XT2, by investigating how its X-ray light differed with time and through a comparison of this behavior with predictions by Zhang for the possible X-ray signature generated by a newly formed magnetar. XT2 was in agreement with the characteristic signature proposed by Zhang, which offers astronomers a new way to gain insights into the interior of neutron stars—highly dense objects with properties that can never be reproduced on Earth. We can’t throw neutron stars together in a lab to see what happens, so we have to wait until the universe does it for us. Bing Zhang, Astrophysicist, University of Nevada, Las Vegas. The finding of a remnant magnetar also breaks a common perception among researchers that the merger of two neutron stars would only lead to the formation of a black hole, immediately or within a second. This discovery confirms that at least some of these mergers will make die-hard massive neutron stars that can survive an extended period of time. If two neutron stars can collide and a heavy neutron star survives, then this also tells us that their structure is relatively stiff and resilient. In March 2015, Chandra made observations of XT2 as it unexpectedly emerged and then faded away within a few hours. According to scientists, possibilities are that the magnetar lost energy via an X-ray-emitting wind, making its rate of spin slower as the source faded. The amount of X-ray emission remained almost constant for nearly 30 minutes, following which its brightness slowly decreased before turning undetectable. The source is situated in the Chandra Deep Field-South—the deepest X-ray image ever captured. Although the source first emerged in 2015, it was found out later by analyzing archival data. The serendipitous discovery of XT2 makes another strong case that nature’s fecundity repeatedly transcends human imagination. Niel Brandt, Study Co-Author, Pennsylvania State University. Brandt is also the principal investigator of the relevant Chandra Deep Field-South. The international group, headed by Yongquan Xue of the University of Science and Technology of China, also analyzed whether XT2 was caused by the destruction of a massive star, instead of the merger of neutron stars. The source is located in the periphery of its host galaxy, which agrees well with the concept that supernova explosions that left the neutron stars behind expelled them there a few billion years ago. Moreover, the galaxy itself has specific properties—such as a low rate of star formation than other galaxies with a similar mass—that are considerably more consistent with the type of galaxy in which the merger of two neutron stars is anticipated to take place. “The host-galaxy properties of XT2 indeed boost our confidence in explaining its origin,” stated co-author Ye Li, a postdoctoral fellow at Peking University and former UNLV PhD student. Using their new understanding, the researchers are currently reviewing Chandra data for similar sources. “Just as with this source, the data sitting in archives might contain some unexpected treasures,” stated co-author Xuechen Zheng, also of the University of Science and Technology of China. The hunt for neutron star mergers is also ongoing at the advanced Laser Interferometer Gravitational-Wave Observatory, which observed gravitational waves from a neutron star merger in 2017. The paper titled “A magnetar-powered X-ray transient as aftermath of a binary neutron star merger” was published in the April 11th, 2019 issue of Nature. The Chandra program is managed for NASA’s Science Mission Directorate in Washington by NASA’s Marshall Space Flight Center in Huntsville, Alabama. Chandra’s science and flight operations are controlled by the Smithsonian Astrophysical Observatory in Cambridge, Massachusetts.